The only risk is wanting to stay! Colombia is a country with a lot of possibilities. The geographical diversity – mountains and sea – makes it an ideal destination. The Caribbean offers beach and colonial cities. Culture and luxury tours are in the Coffee region. Pre-Colombian archaeological sites in the Andes. Adventure you can find in every region. In the south you can enter the Amazon river. 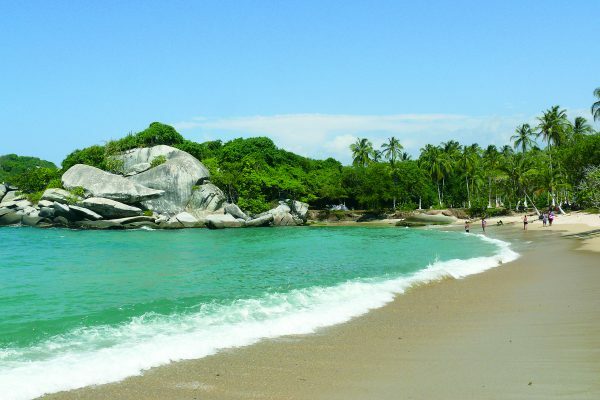 Combine Colombia with another destination and you have a totally different tour. 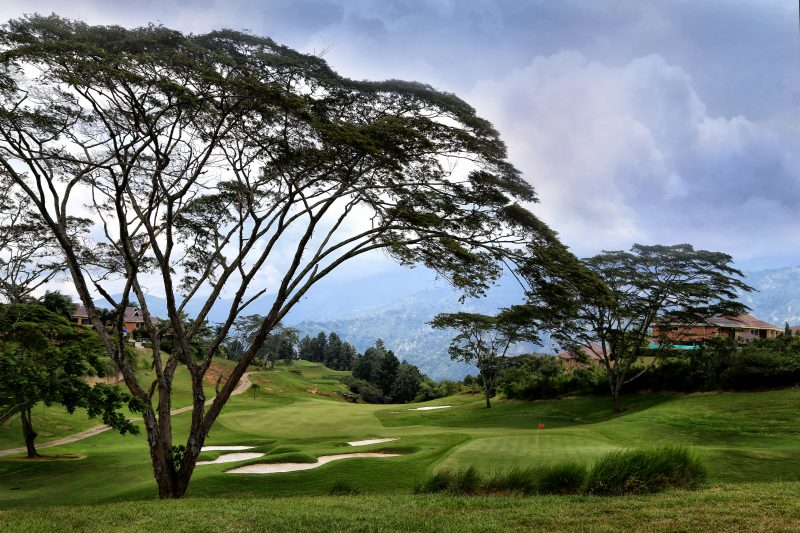 Be surprised by the beautiful golf courses and hotels in Colombia. Make a tour through this beautiful country, sleep in special Boutique hotels or make an exclusive luxury wedding tour in the Coffee region. That they know about golf in Colombia, you can find a golf course in Cartagena witch is established in 1933. More golf courses are in Bogota, Armenia, Pereira and Bucaramanga. 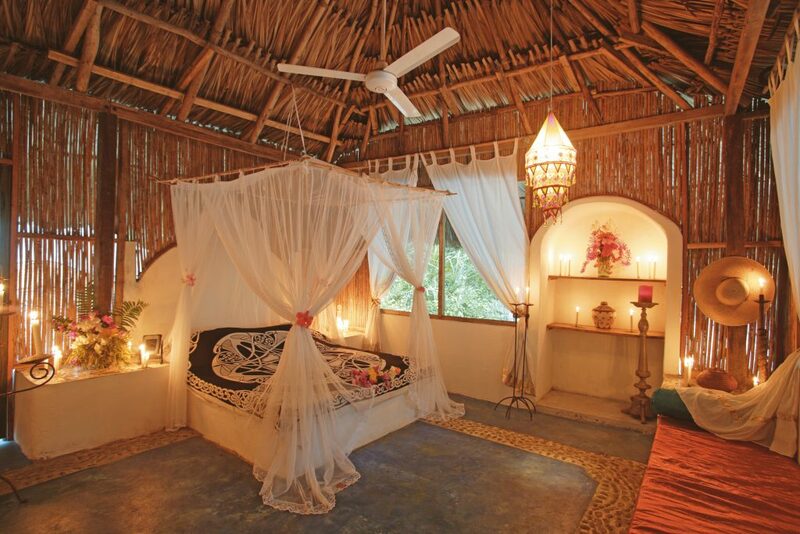 Luxury accommodations, can be offered in Boutique hotels or beautiful haciendas through whole Colombia. For groups and FIT’s. Especially in the colonial towns these lodgings are breathtaking. The luxury wedding tour: This is where you’ll really start to fall in love with Colombia as you share the breathtaking natural beauty and hospitality of the coffee region. Colombia can offer a lot of Adventure! Make a trekking tour. Go diving in two totally different oceans. Go rafting in Santander province. 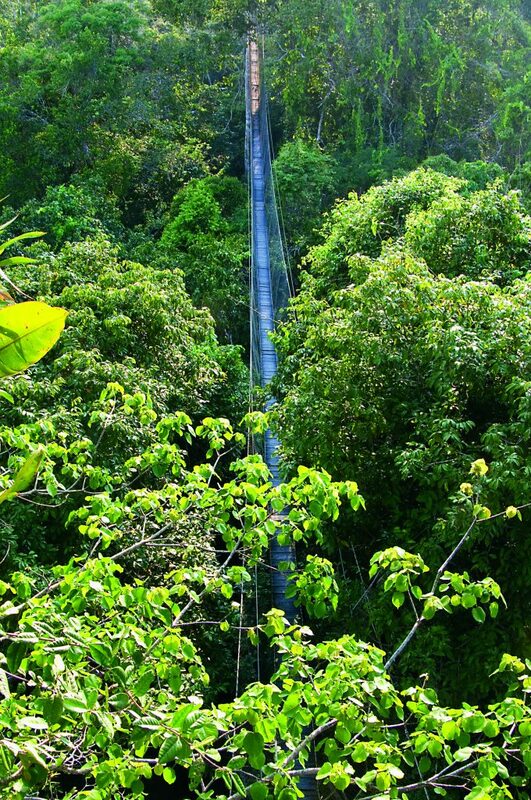 Experience Canopy above the coffee plantation. 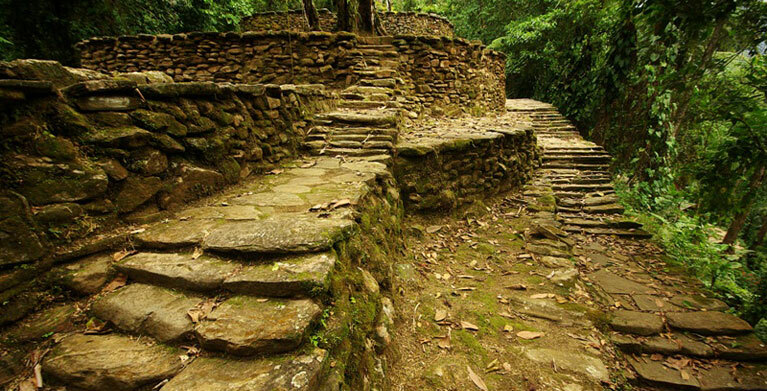 The Lost City or ‘Ciudad Perdida’, is situated in the Sierra Nevada. 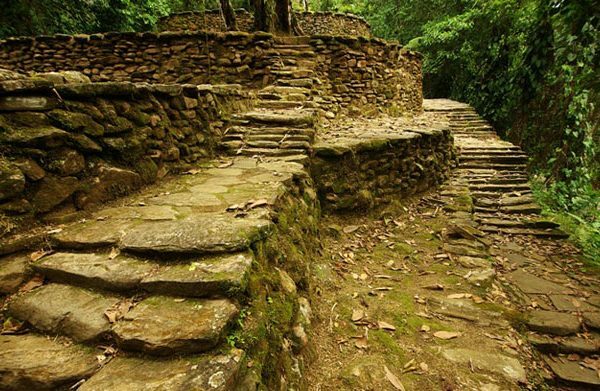 The Tayrona Indians, who flourished between the 13th and 14th century, probably constructed this archaeological wonder. We can offer you a trekking tour from 5 days/ 4 nights. 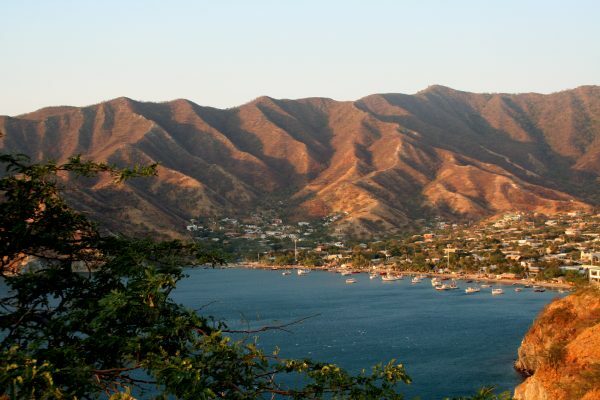 At Taganga in the Bay of Santa Marta it is easy to learn diving at this spot. San Andres and Providencia, two islands in the Caribbean, offer diving in crystal clear waters with seven colours. Hammerhead sharks you can see at Malpelo in the Pacific Ocean. Canopy ( Zip wiring) is one of the closest experiences of flying. Between Armenia and Pereira you do this activity above the coffee plantations. 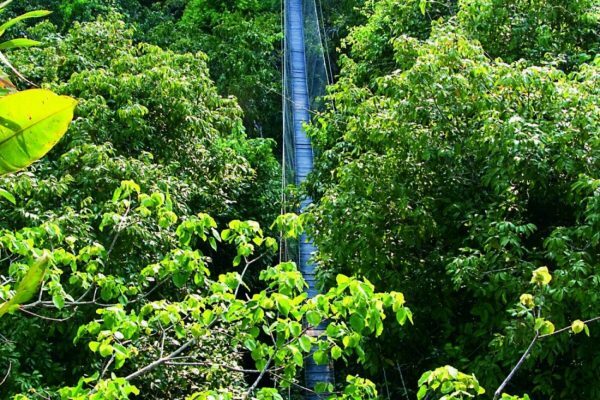 In the highest and longest canopy in the country, which reaches heights over 60 meters and speeds up to 80 km/h. 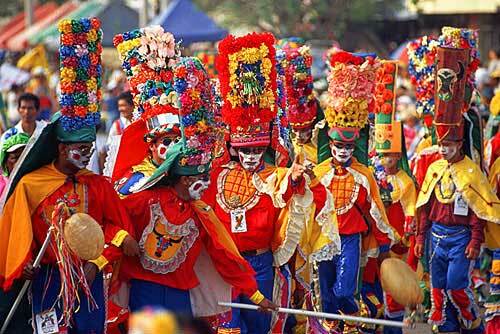 The colourful cultural heritage of Colombia is visible in festivals and carnivals. But also music and literature plays a big role in the Colombian society . 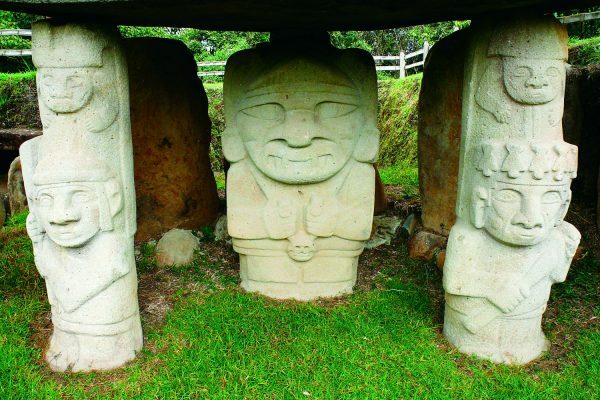 Archaeological sites show the history of the indigenous peoples. 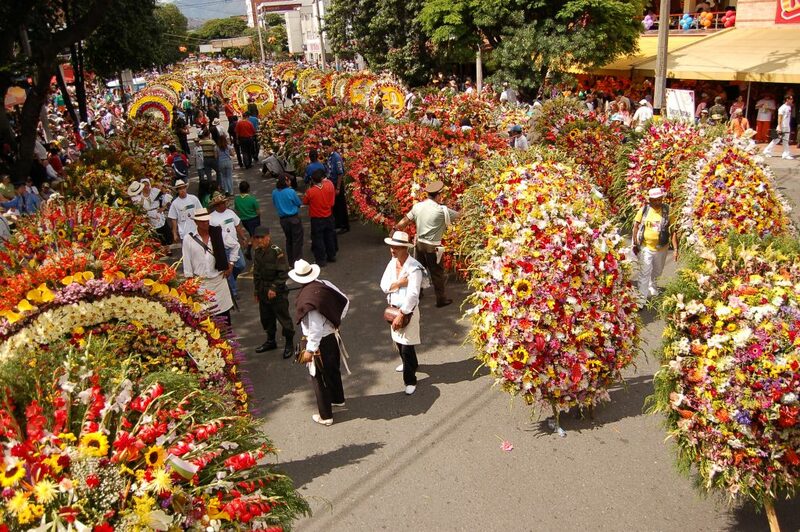 In early August of each year Medellín dresses up in colours for the Flower Festival. The climax of the event is the Silleteros (saddler’s) parade, where flower farmers design beautiful arrangements which are carried on their backs. Sites of great beauty and archaeological interest are located in the southwest of Colombia. The region is hilly and borders with Ecuador. Here you can find the different sites of San Augustin, Tierradentro and the beautiful ‘white’ city Popayan. Carnival is a long standing tradition in Barranquilla, and is held in the first quarter of every year, a few days before Ash Wednesday. After Rio it is the second largest carnival in Latin-American. The festivities attract about 500 folk groups, international artists and locals. Go from La Paz, the highest capital of the world, in to the Coffee Triangle and Tayrona park in Colombia. Compare the Spanish Colonial Cartagena with the photogenic capital Havana in Cuba. Combine the Andes with the Caribbean Coast and the Amazon in Colombia with the Jungle and Panama Canal. Colombia – Bolivia, two Andeans nations easy to combine. Start in the highest capital of the world La Paz, Bolivia. Visit the high Titicaca lake and the Uyuni salt flats. Bogotá is a real Andean city in Colombia. 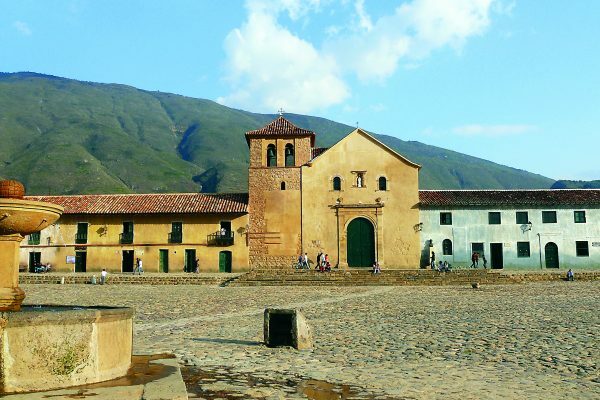 Visit the impressive Gold museum and the colonial village Villa de Leyva. Experience the totally different landscape from the Coffee Triangle and relax at the end of your tour at the Caribbean Coast. 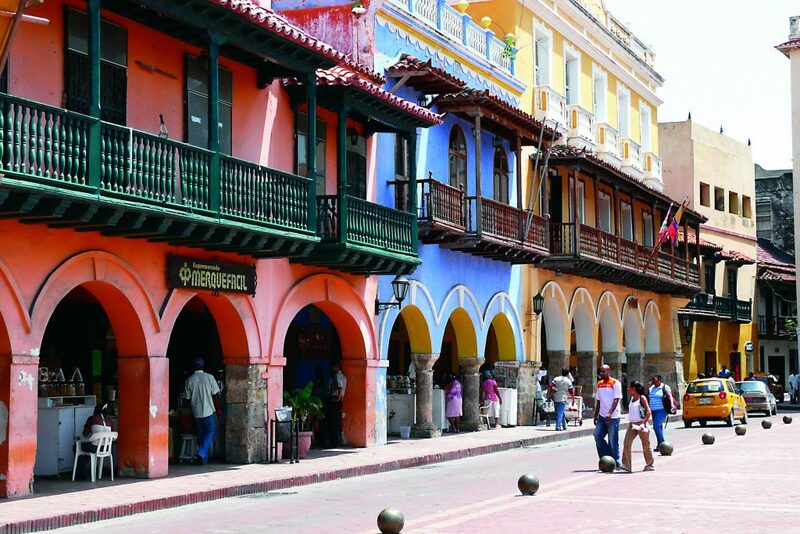 Colombia – Cuba, two countries were the Caribbean influence is very strong. 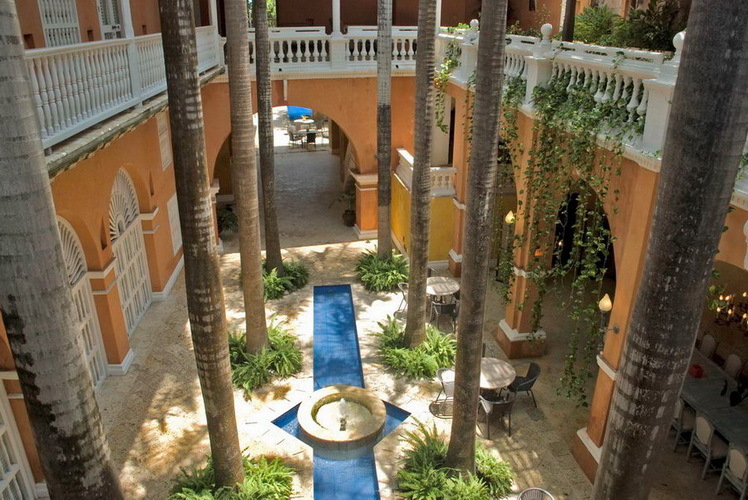 Both Cartagena and Havana have beautiful and photogenic architecture. Transportation of slaves, gold and silver was what the two cities combined and made the inhabitants very rich in the Colonial times. In Cuba we can see Trinidad, were the rich sugar barons lived and in Colombia we visit the Gold museum in Bogota. Colombia – Panama, are neighbours but it’s difficult to cross the border by land. The Pan-American Highway does not extend through the Darién Gap. Panama is easy to reach by short flight from Bogotá or Cartagena or by sailing boat. Interesting is to stay a few days at the San Blas Islands ( Panama), the autonomous territory of the Kuna Indians. From there on you can get a plane to Panama city and visit the famous Panama Canal.